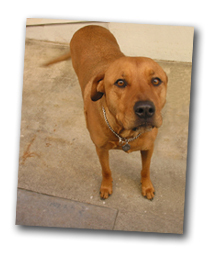 The Singing Dog pictured on the website was my little Chow-Pitbull mix named “Noeli.” As a three-month old puppy, she was abandoned in front of a 7-11, and we found her and took her home. Needless to say she had a few issues, not the least of which was that she was very vocal. In the first frustrating year or so of trying to get her to trust me and stop the almost continuous barking, I noticed a lot about her behavior and about making sound in general. We all “sing” everyday but often aren’t aware of it. We communicate through sound, inflection, and color of voice to display pleasure, anger, or a myriad of other emotions. We are simply responding to the necessity of clearly communicating our intentions. Hopefully, in our case, there is some “thinking” going on before the “doing.” The key is to find a balance. Unfortunately when we try to sing intentionally, all the emotional baggage and self-judgment we’ve collected over the years gets in the way – “how do I sound?”, “is my voice beautiful?”, “I can’t sing” – and we hinder ourselves before we even begin. Learning to sing involves the whole person, not just isolated muscles and vocal folds. In many ways it is akin to the training of an athlete. But, a technically well produced sound without the emotional content is just sound. I do come from a classical background and believe in focusing on relaxed, open-throated singing with a raised soft palate and stability in the larynx. This results in pure sounding vowels and a maximizing of vocal resonance or “ring” in the voice. And, a great deal of work is spent “supporting” the sound with deep, low breathing from the diaphragm and abdominal muscles. If coordinated properly, we hear a sound that comes deep from the “soul” of the person singing, not just from the throat. Just like little Noeli and her sister, Maggie, pictured on the right. What I can help you discover is that healthy way to produce even, free sound that is directly connected to an emotion. The technical aspects may resemble a “classical” approach, but they can be (and should be) used in any type of singing. A lot of what distinguishes different types of singing is “style.” Underlying the style should be a healthy, solid foundation of making sound. And, naturally, the meaning of the words and music will be noticeably clear to your audience.